RTL Group has announced changes to its executive management team. At his own request, Guillaume de Posch will step down as Co-CEO of RTL Group, effective January 1st 2018. He will continue to serve as a non-executive member of RTL Group’s Board of Directors. Bert Habets (pictured), who has been Co-CEO of RTL Group since April 19th 2017, will now lead the Group as sole CEO, with overall responsibility for the strategy and day-to-day management of the Group. 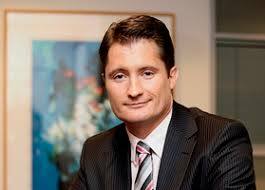 Habets joined the Group in 1999 and became CFO of RTL Nederland in 2001. As CEO of RTL Nederland (2008 to 2017) he transformed the company from a traditional broadcaster into an all-round media and entertainment company.